This entry was posted on Saturday, May 2nd, 2009 at 2:17 pm	and is filed under Main Dishes. You can follow any responses to this entry through the RSS 2.0 feed. You can leave a response, or trackback from your own site. This sounds great! 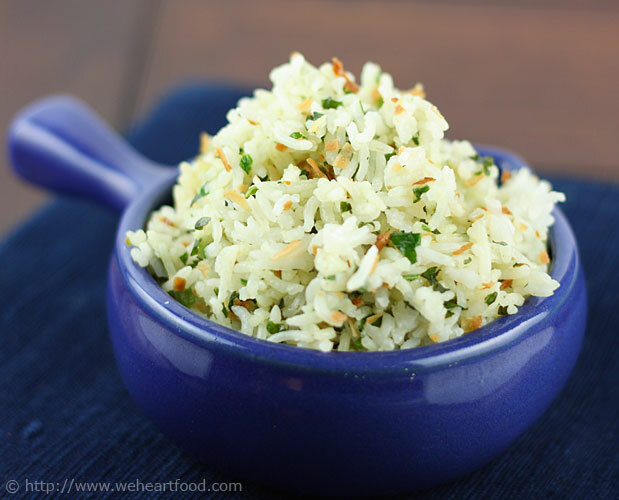 I love finding new rice recipes, and this looks like it’d be perfect with any kind of light seafood. Yum. Oooh, that sounds tasty! You can’t go wrong with coconut! Looks like the perfect rice to go with many recipes. Oh, I’m anyways a big fan of coconut rice…and the cilantro seems like a perfect touch! Looks delish! I’m definitely trying this and cooking the rice in some coconut milk sounds like a great idea. Btw, I love the picture. The colors are very nice.